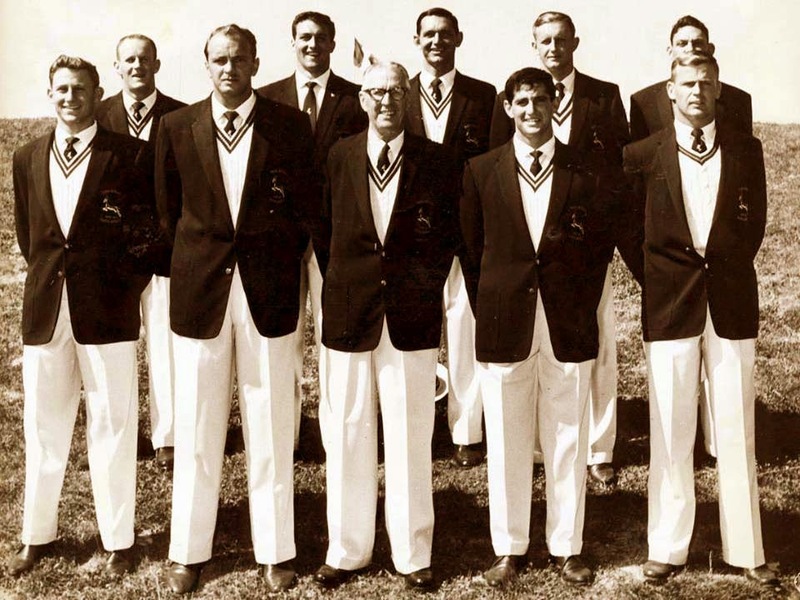 The National team of South Africa at the 1960 Rome Olympic Games. Back L-R: W.W. Voges, A.T. Brown, S.J.F. Botha, R.C. Tinkler and (W. A. J. “Dutch” Aucamp - Obscured) Front L-R: R.L. Schwartz, F.M. BUTLER (captain), A.A.R. Bulley (manager), L.W.J. Nahon, and R.A. Meredith.